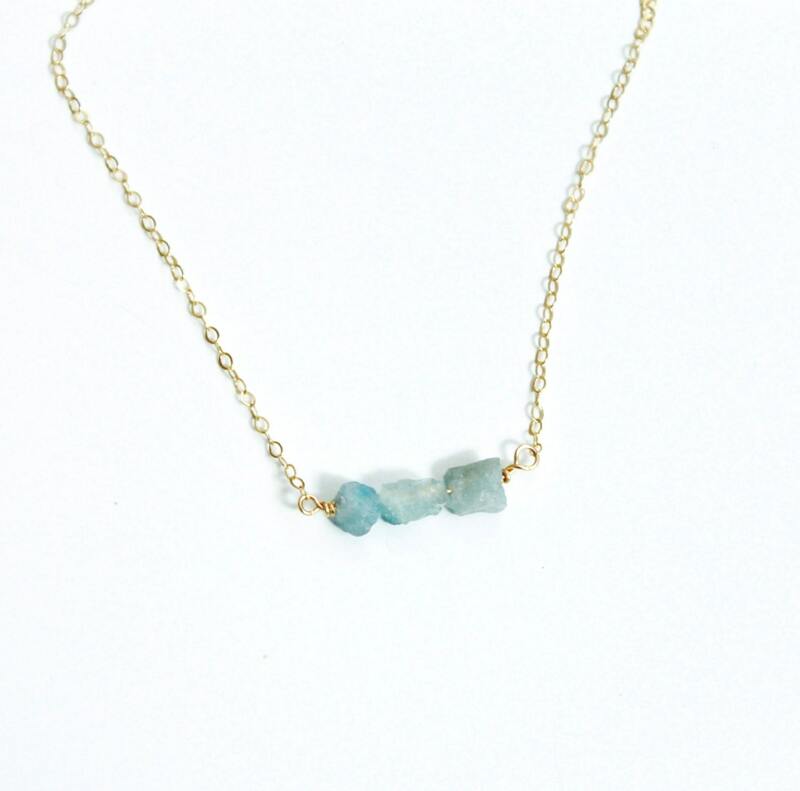 This genuine Raw Aquamarine necklace is perfect for everyday wear. Rustic and beautiful this necklace will compliment anything you wear! Little smaller stones than I anticipated but nice. 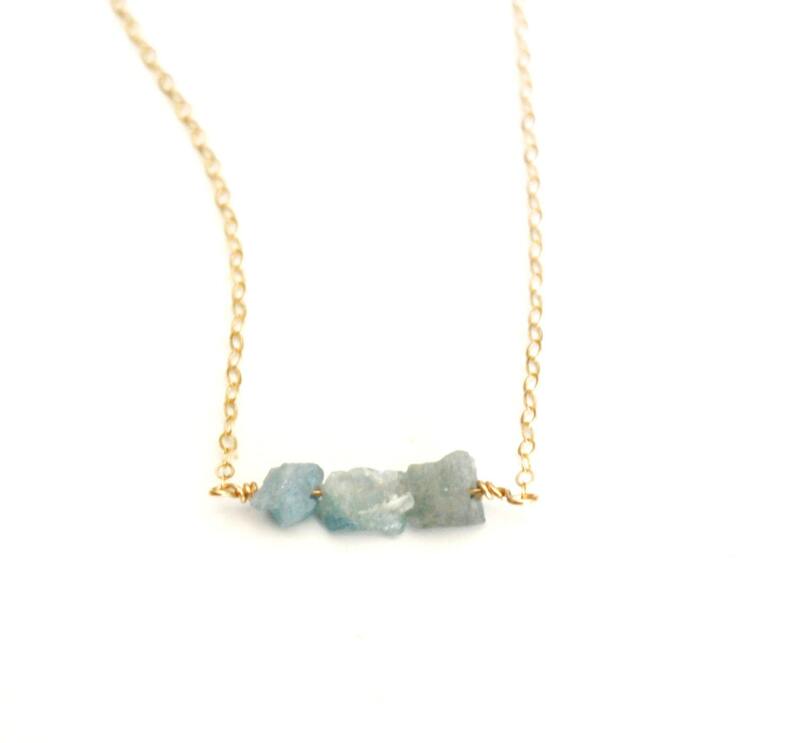 This necklace is so delicate and pretty. Loved the length too.